The team's announcement comes just two days after it had signed the tight end. Matthew Mulligan’s stay with the New England Patriots was brief. Two days after the Patriots signed the tight end from West Enfield and the University of Maine, he was released. New England announced the move on Thursday. 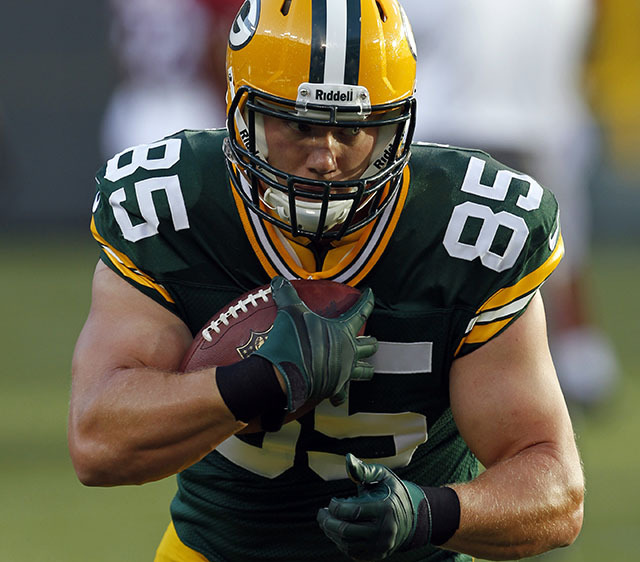 Mulligan, 28, had signed with them on Tuesday, three days after he was released by the Green Bay Packers. Mulligan, 6-foot-4, 267 pounds, has played in 50 NFL games over four years with the New York Jets and St. Louis Rams. He has 14 catches for 144 yards and a touchdown. Mulligan did not play football until his sophomore year at Husson University. He attended Penobscot Valley High in Howland and played soccer in the fall because the school did not offer football. He transferred to UMaine, where he played for two years, then signed as an undrafted free agent with Miami. He spent a year on Miami’s practice squad, then one on Tennessee’s practice squad, before signing with the Jets.